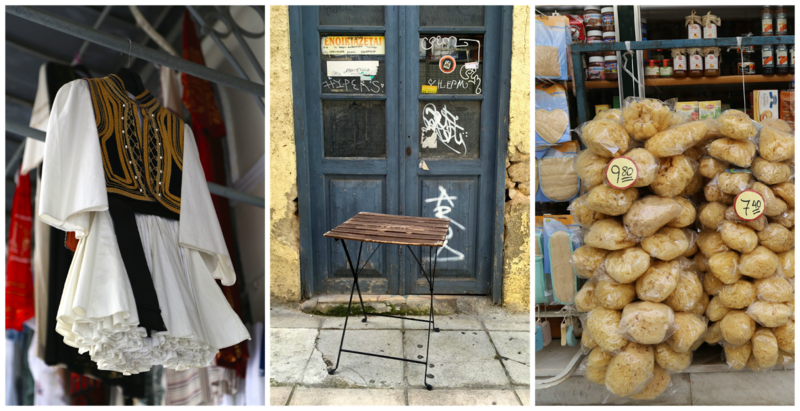 In Athens, I walked and walked – it’s a city for walking. Pavements are often made of gleaming pale marble. Greece is marble, a material that lasts forever. 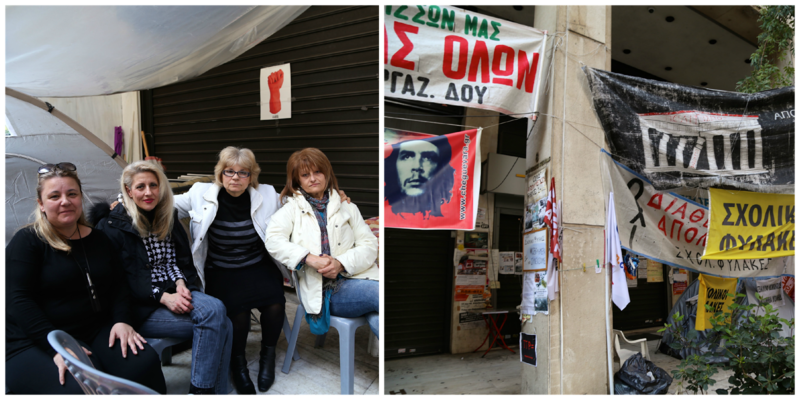 I walked around the area, Plaka, where the finance minister Varoufakis has his flat featured in Paris Match, which he immediately regretted. This new government are trying to do things differently; they don’t wear ties, some of them have rejected ministerial perks such as chauffeur driven cars and they don’t have PRs, so they make mistakes. I walked up to the Acropolis. I walked around the tiny byzantine churches, wedged between the newer buildings. I walked up to the National Gardens. I walked around the markets. 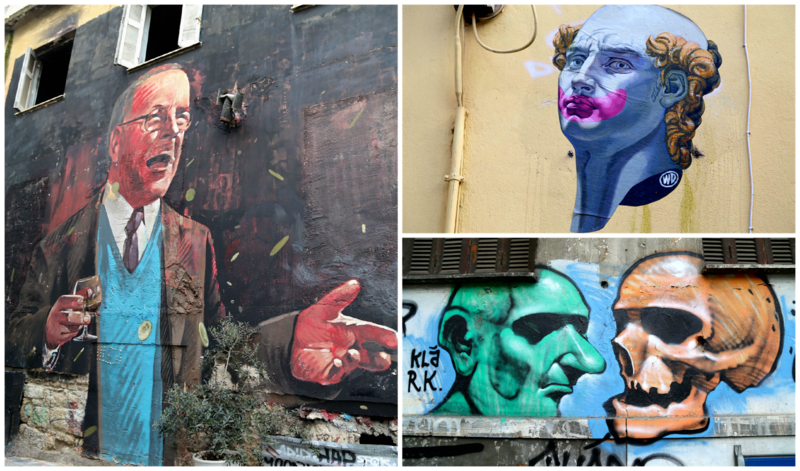 The thing that most struck me was the emptiness of Athens. Compared to London, there is hardly anybody living there. The population is around two or three million people, and many of the younger generation, the millennials, have left to work abroad. Athens also used to have the reputation of being very polluted. Compared to London, the air was sweet and clean, the crisis is partly to thank for that, as people can no longer afford to use their cars. I talked to Greeks about the crisis; I talked to a mother waiting outside parliament while her child was on a tour around the building. I talked to a striking cleaner who has been staging a sit-in outside the Ministry of Justice for 18 months. I talked to taxi drivers. 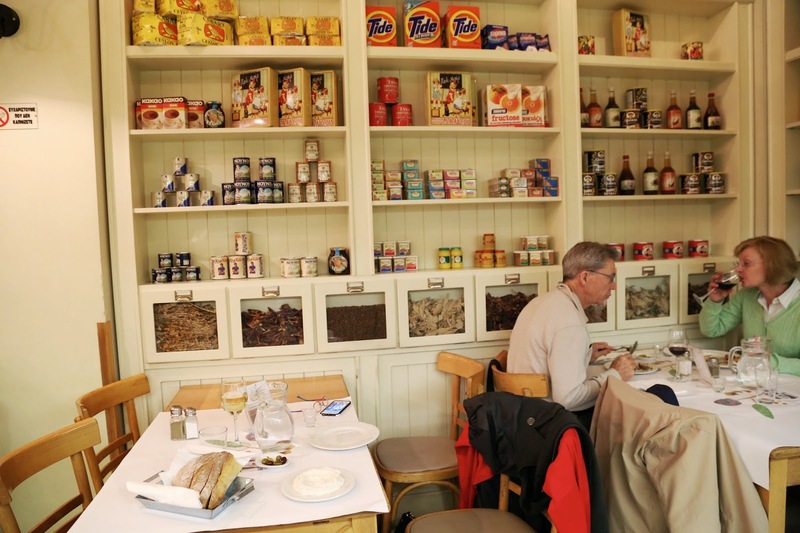 I talked to Eugenia, a food blogger who spent eight years living in England and recently returned to Athens. The Mother: It will get worse but then better. The last government lied. This one at least will tell the truth. I didn’t vote for them but I am hopeful. The Returnee: since the crisis started, yes life has been tough but also it has made people creative. 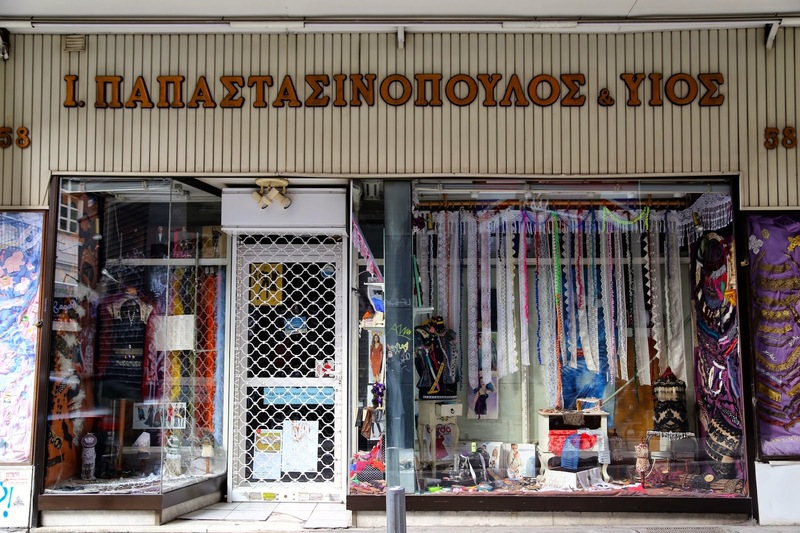 There are so many new start-ups, a new generation of Greeks starting small businesses. My parents have suffered. The Striker: I was a cleaner for the justice ministry then they privatised it and we lost our jobs. We were earning 700 euros a month, which wasn’t much but now we are living on 200 euros a month. For rent, electricity, food, taxes. 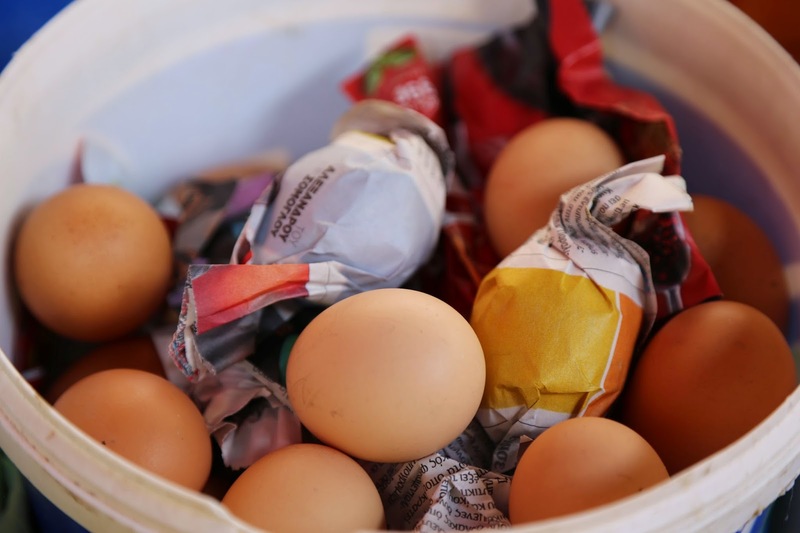 How can we explain to our children that we haven’t enough money to feed them? The Striker: People say we don’t pay taxes. Yes, we pay taxes. We pay huge property taxes and emergency ‘solidarity’ taxes. 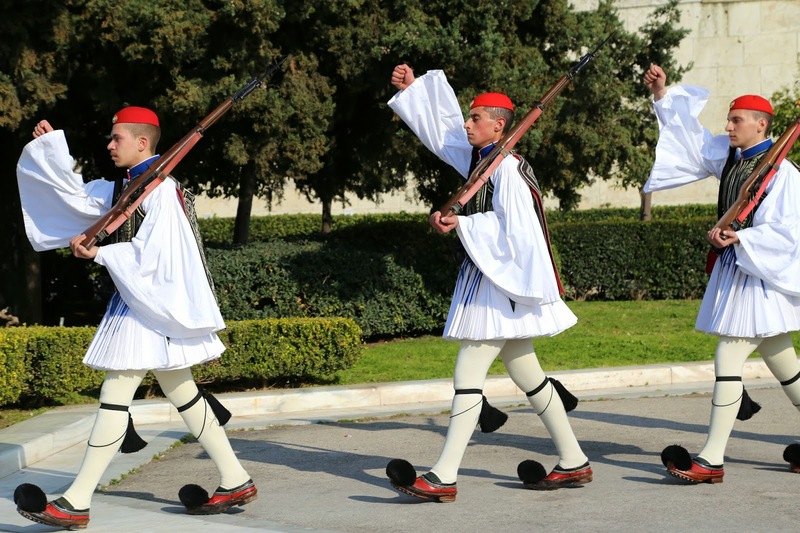 Now Syriza have got in they say they will give us our jobs back, within 5 or 6 months. We are hoping. We’ve been living here for 18 months in tents. The Taxi Driver: I paid for my license, for my insurance, for my car. But I barely have enough business to cover it. The Mother: I think it will get much worse but in a year it will be better. We will see. 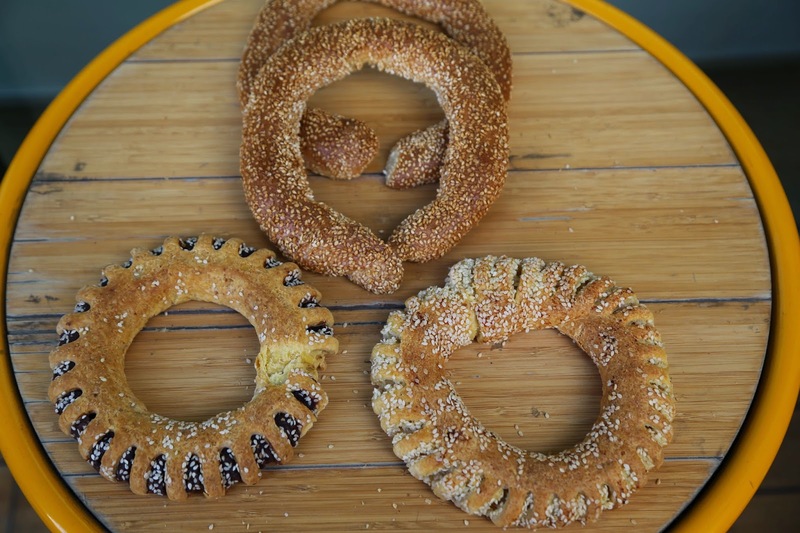 Koulouri: a type of sesame seed-covered thin bagel in a ring shape is the standard koulouri but they also have them filled with olives, chocolate, cream cheese, cheese or in wholewheat, covered with sunflower seeds. These stalls are everywhere but one in front of the National Gardens is particularly recommended. 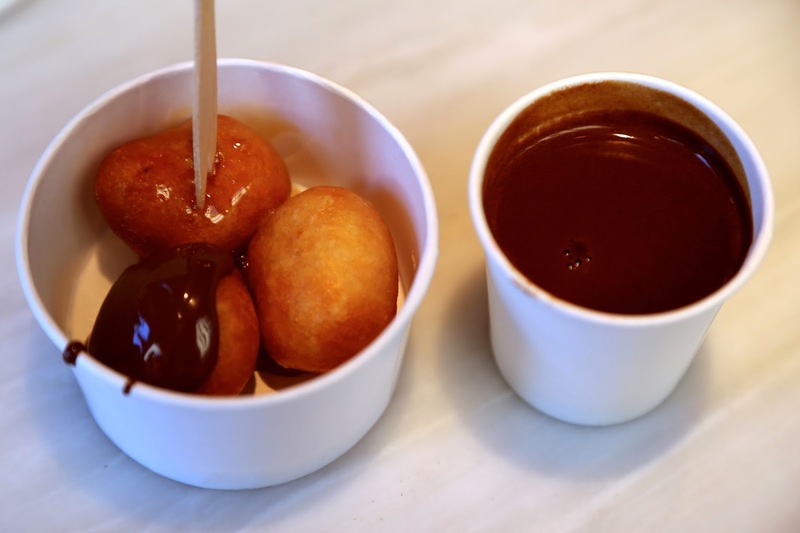 Loukoumades: little doughnuts filled with cream. 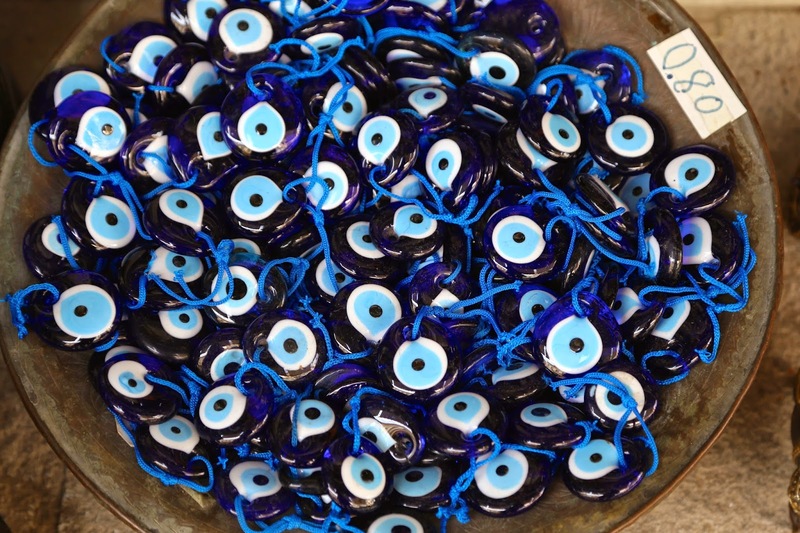 They are a traditional Byzantine food that has recently become fashionable again. I had them draped with chocolate sauce or filled with mastiha cream. I tried them at a modern place, Lukumades, in the centre of town. Mastic is a big deal for the Greeks. 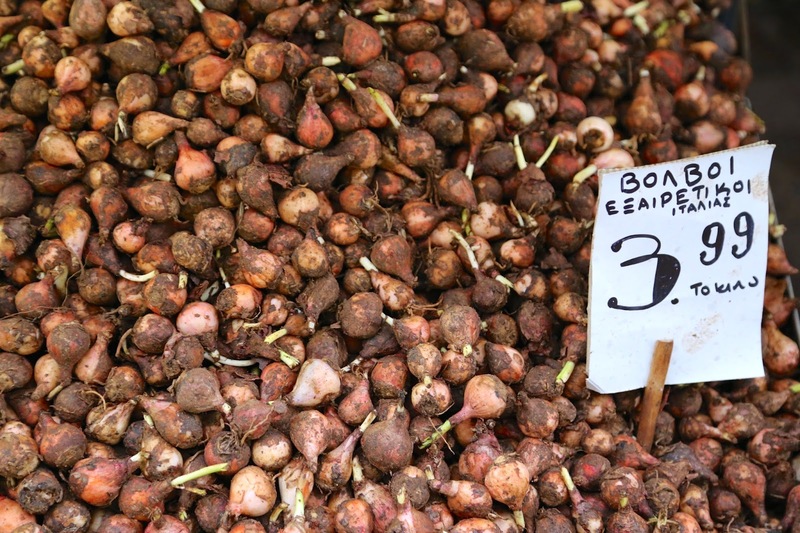 Referred to as tears of Chios, it can only be grown on this Greek island. Mastic, the precursor of chewing gum (above, left in lemon, bitter orange or rose flavours), is the resin from a certain kind of pistachio tree indigenous to Chios. It has a resinous, slightly pine flavour. I like it, but it is a Marmite thing, you’ll either love it or hate it. That resinous flavour is what you also find in the Greek wine Retsina which dates from Byzantine times. I had a wonderful Retsina that tasted of thyme. Modern techniques mean that Retsina is now subtler than before, less of the furniture polish vibe about it. Wild greens. These are comprised of dandelions, wild rocket, spinach and other mysterious leaves. 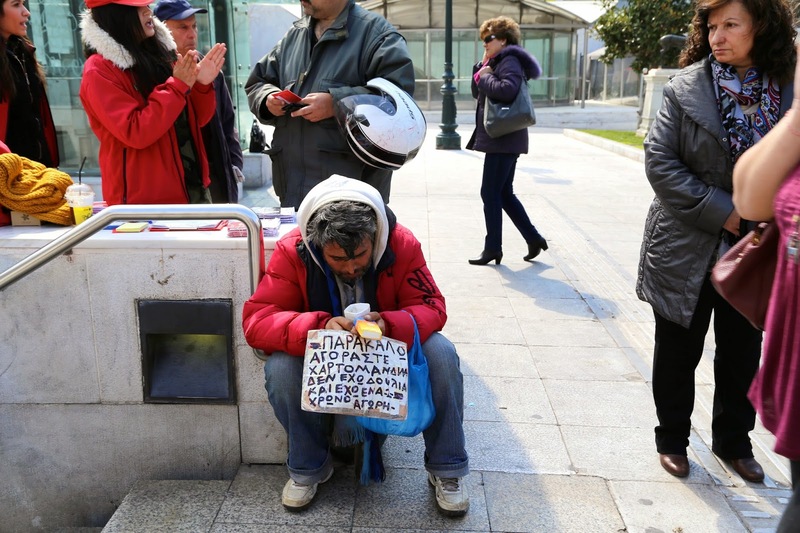 In March, the Greeks have their own ‘hungry gap’ when they have less ingredients available to eat. 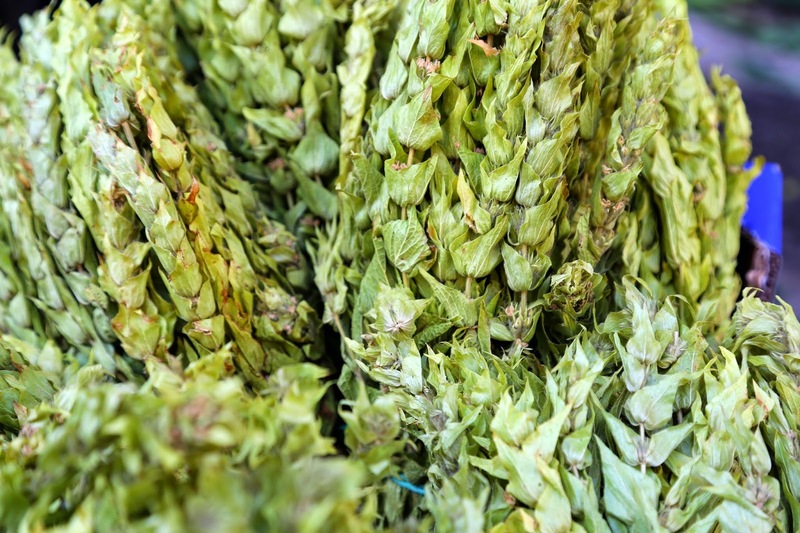 Wild greens are served with fish or on their own. Olive oil. I bought some at a market stall. 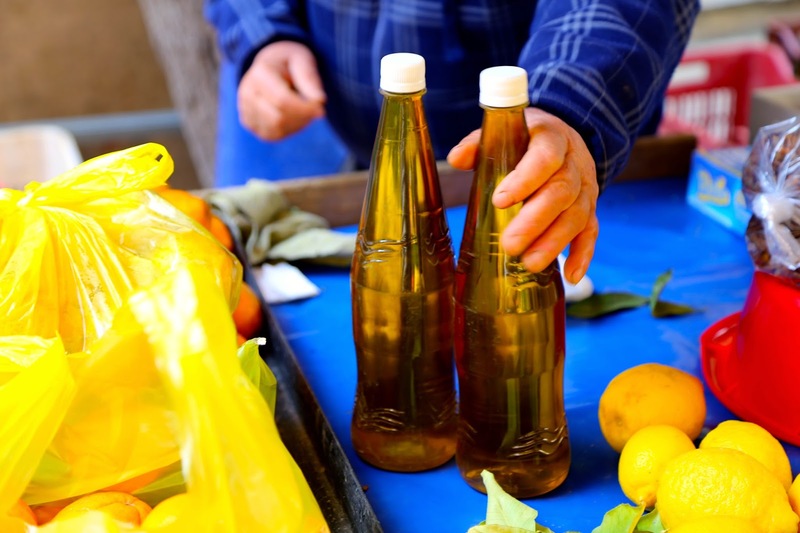 It was the stallholders’ own olive oil, soft and fresh, stored in plastic pop bottles. If only I could have brought back more. Cretan cuisine is a thing. 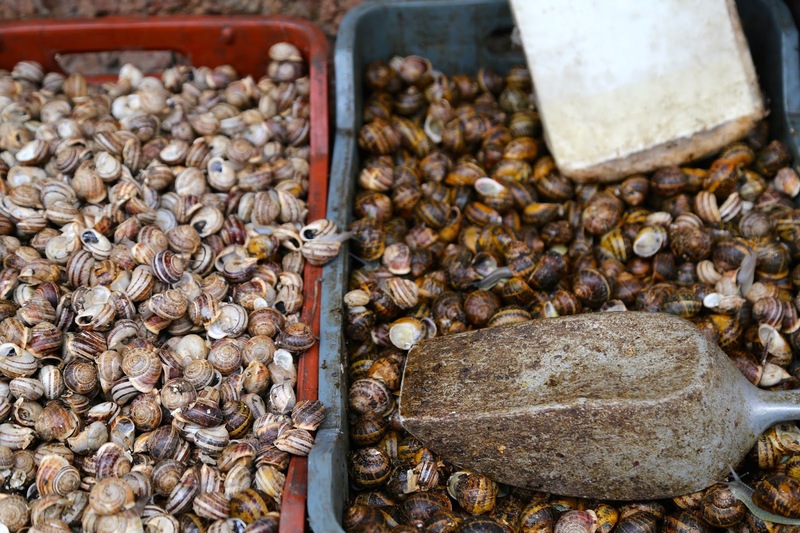 Greeks say that the food from the island of Crete is the best, with the freshest produce. 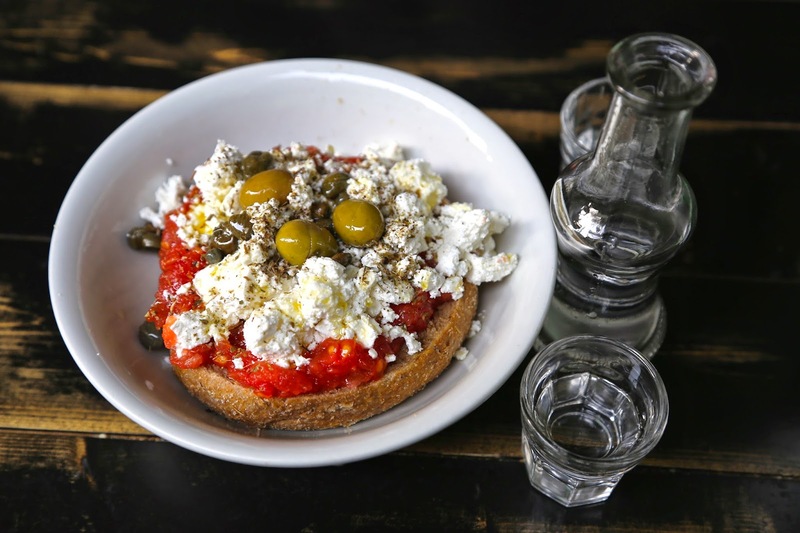 A typical Cretan dish is rusk salad ‘Dakos’, similar to panzanella, with a large crust of bread topped by a tomato salad, sprinkled with feta cheese. Beans. 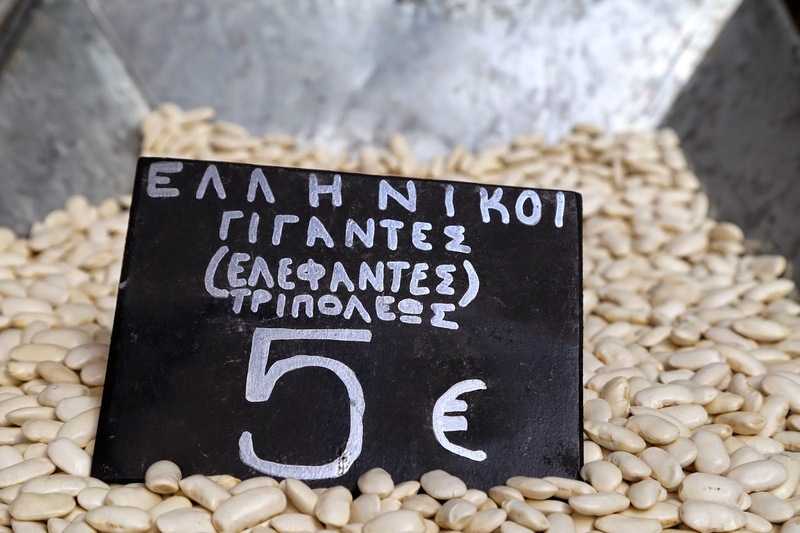 Gigantes plaki (giant baked beans) make for a popular dish. 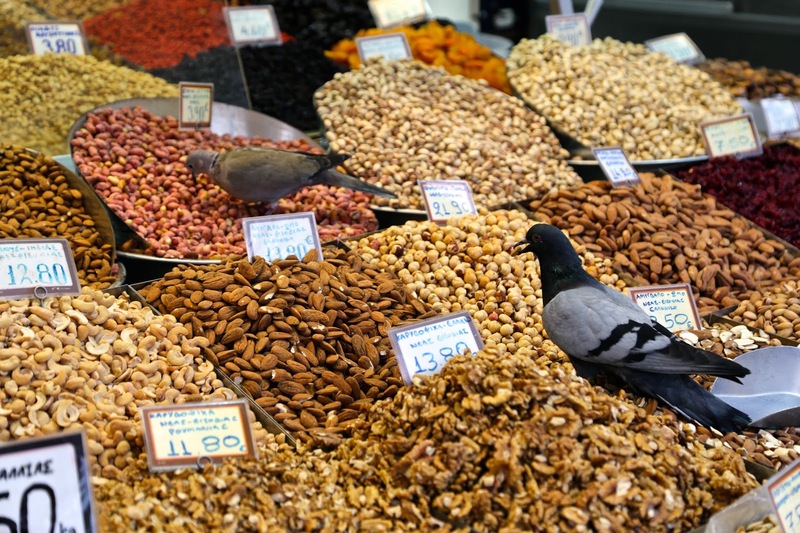 You can buy dry beans by weight in most market stalls. Peasant-style dishes and vegetarian food have all become fashionable since the crisis. 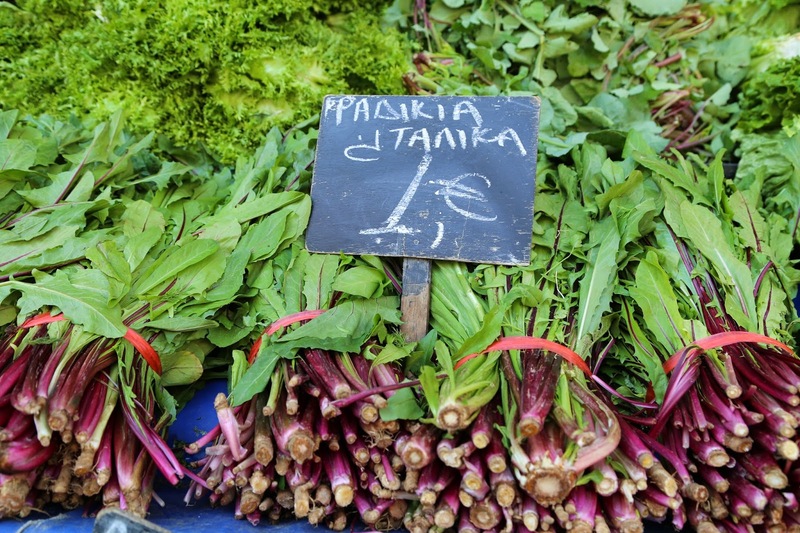 People in Greece take Lent very seriously; most restaurants will have a vegetarian Lent menu so March is a great time for veggies/vegans to visit. Lent starts on Ash Monday lasting 40 days and ending a week before Easter. Grape hyacinth bulbs, which are then pickled or salted. This is a Cretan dish, popular as a delicacy in Greece. It’s also popular in Italy as Lampascioni sott’olio. Bergamots and bitter oranges. I’ve tried growing citrus but failed miserably which is a shame because I’m such an avid citrus user in my cooking. 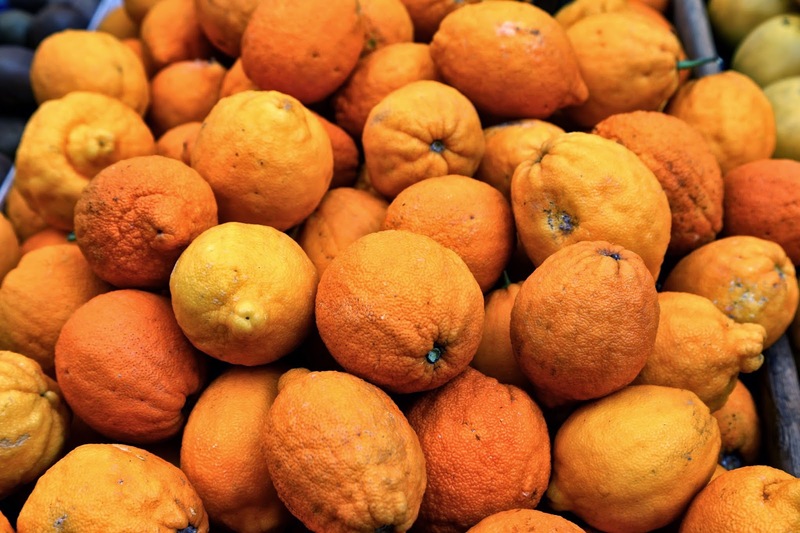 In Athens, I bought bergamots (above) to make a sorbet. Oh my god, I cannot adequately describe just how orgasmic this was. Don’t believe me, listen to Xanthe Clay of the Telegraph when she came to my ‘raki’ supper club. Spoon sweets. These are preserves, often made from sour or bitter fruits or from mastic, served on a spoon in a tiny glass with coffee at the end of a meal. Great recipe for bitter orange spoon sweets here. 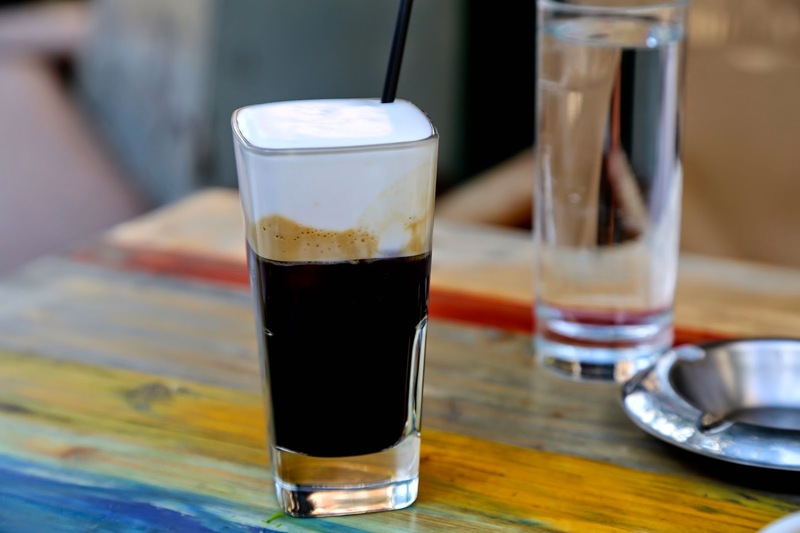 Frappé is a Greek iced coffee with a thick foam. Delicious. 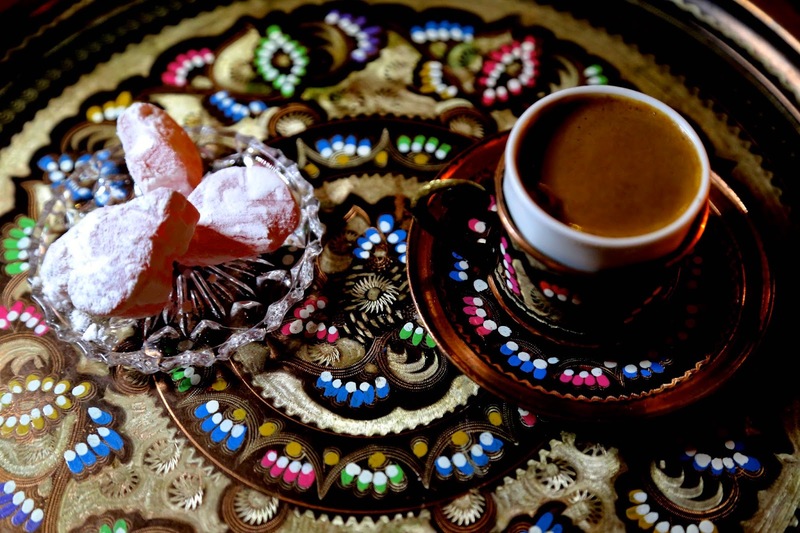 Traditional Greek coffee consists of finely ground coffee (ratio: 1 tsp to 100ml of water) heated until 70Cº. Order it sweet, semi-sweet or without sugar. Raki is stronger than the Turkish version that I’ve tried, more like eau de vie. 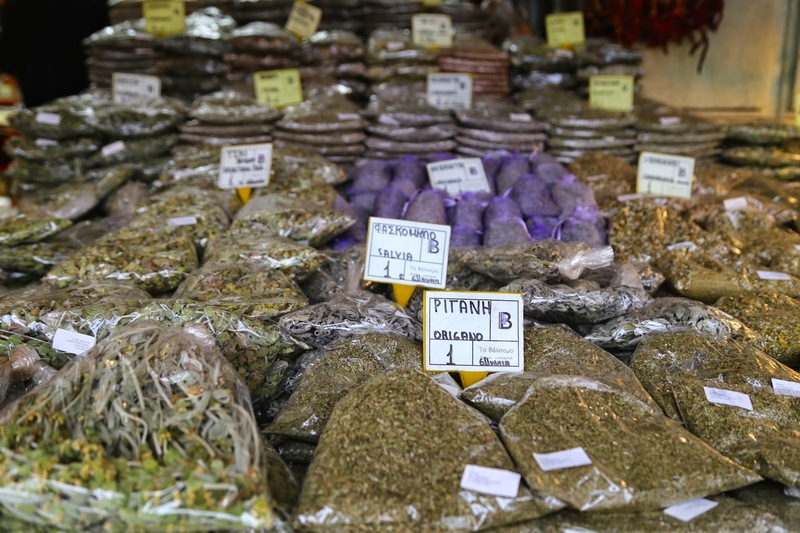 Ouzo is the traditional Greek liqueur which has a stronger aniseed flavour than Turkish raki. Rakimelo is Greek raki with honey. Mastiha is a Greek hard alcohol flavoured with mastic. Mountain tea (above), made from the sideritis (ironwort) plant, is a grandma’s tisane and good for you. Thyme is heavily used, to sprinkle on French fries for instance. 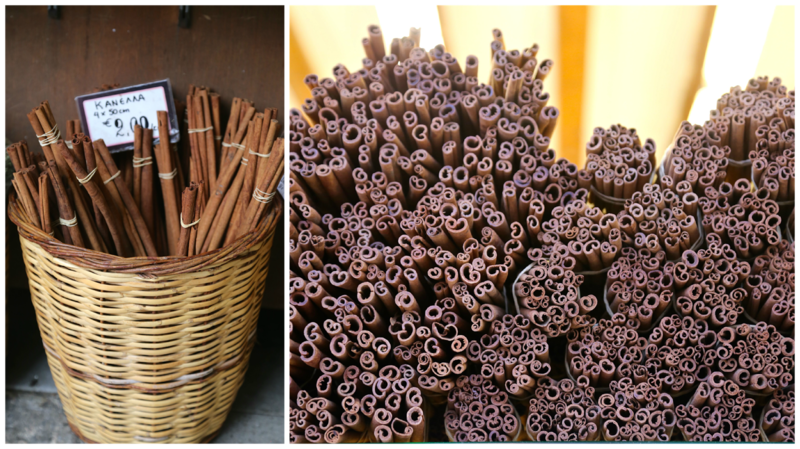 Greek markets have really long cinnamon sticks, like 2 feet in length! One piece of information that blew my mind was that pitta doesn’t mean bread, it means pie. The Greeks are obsessed with pies, made with phyllo/filo pastry. They are often thin pies, almost a crepe, with a filling. 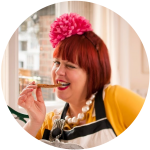 I did a phyllo rolling workshop with food blogger Eugenia of EatYourselfGreek who gives cookery lessons, food tours and runs supper clubs from her home in Athens. Contact her here. 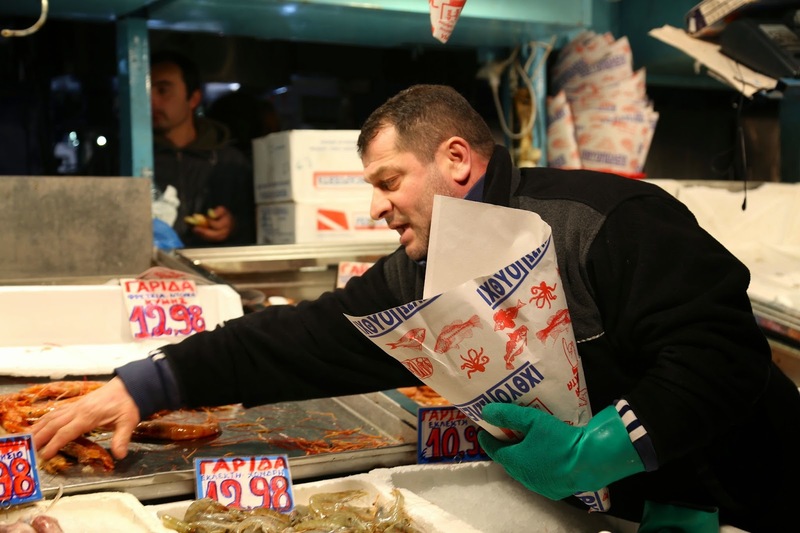 Since the crisis, Greeks can’t afford to eat out as much, it’s a rare treat. But, similar to what occurred post-crisis in the UK, with home restaurants and pop-up temporary restaurants (a movement I pioneered) evolving as a reaction to the lack of money, there are many small ‘kafenios’ springing up, in arcades, between buildings, behind shops, here today, gone tomorrow. A Kafenio, formerly a small cafe where retired men hung out, is a mix between a coffee place and a workers cafe. These places serve a few dishes, wine and raki in the evening along with rembetika, live greek music. Tzitzikas kai Mermigas. I loved this restaurant, which had friendly service, great food, small prices and an interesting wine selection. Things I ate included salmon with butter saffron sauce, chalky tarama plastered on a plate, thyme flecked chips and fresh fresh fish. One night I ordered a grilled sea bass filet which came with steamed wild greens, topped with a mustard sauce. It was a Julia Child style fish epiphany. So simple but so good. 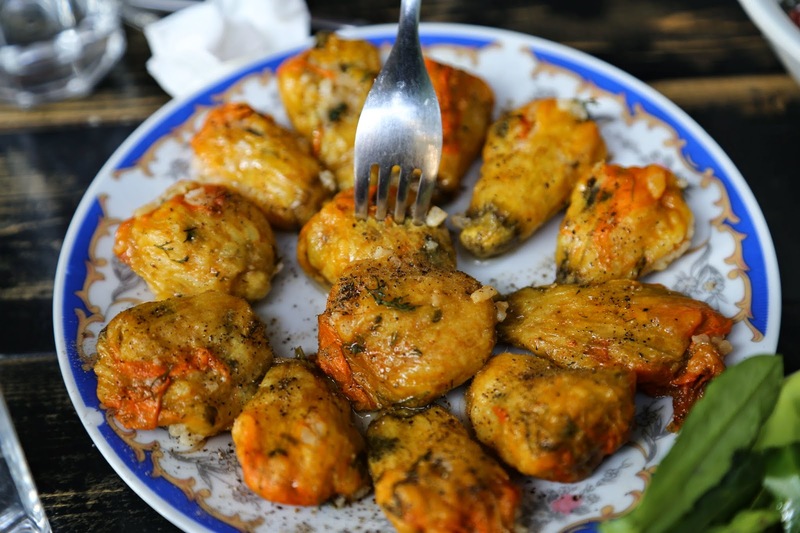 Cretan restaurants serve dishes like the stuffed courgette flowers above, rusk salad, disk-like phyllo pies filled with cheese and drizzled with honey. 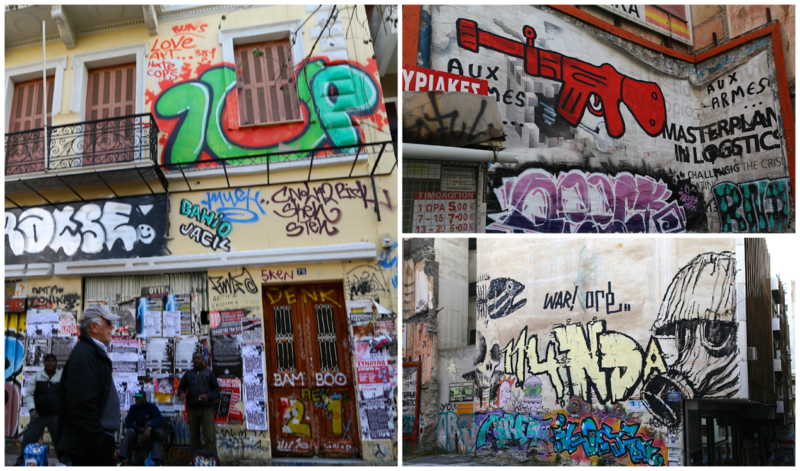 I visited Rakoumel in the Exarcheia area, known for anarchist politics and squats. Maria Elia, the Greek cook known for the wonderful cook book Smashing Plates, recommended I Kriti (Veranzerou 5, Kanigos Square). Nancy’s sweet home: 1 plateia iroon, Psiri. 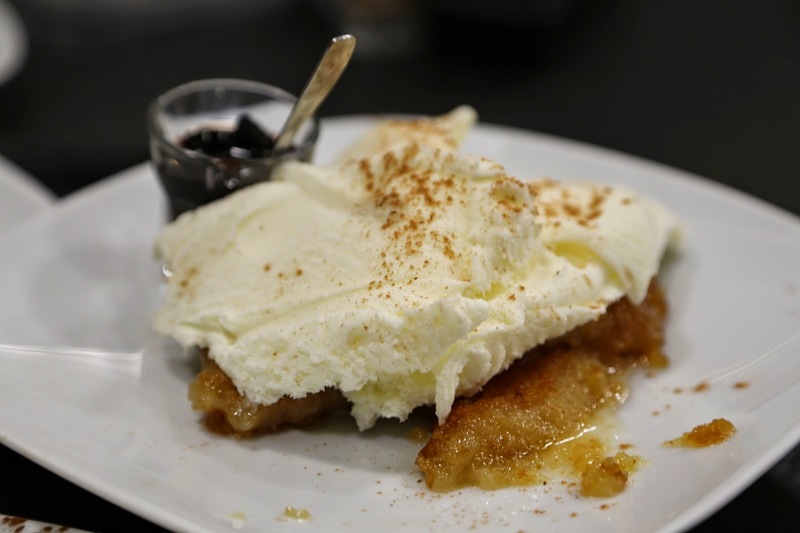 A great place for desserts, many of which are inspired by the crisis. Above is mastic flavoured cream on cake with a spoon sweet. Little Venice is a popular restaurant run by women chefs in the Koukaki area, a student and non-touristy part of Athens, filled with bars and restaurants. People go out to eat very late, a large family arrived to eat at midnight. I loved the home made pasta and the thin deep fried courgette strips with dipping sauce in particular. Varoulko Seaside is a Michelin-starred fine dining restaurant, specialising in fish, headed by chef Lefteris Lazarou, in the Mikrolimano marina area of Athens. I was taken there by Cosmote at whose conference ‘The Sharing Economy’ I gave a talk. What is the sharing economy? Etsy, Airbnb, Uber are examples of this new style of business which is shared via the internet and social media and relies heavily on trust. Supper clubs, home restaurants and pop up restaurants form part of that sharing economy. 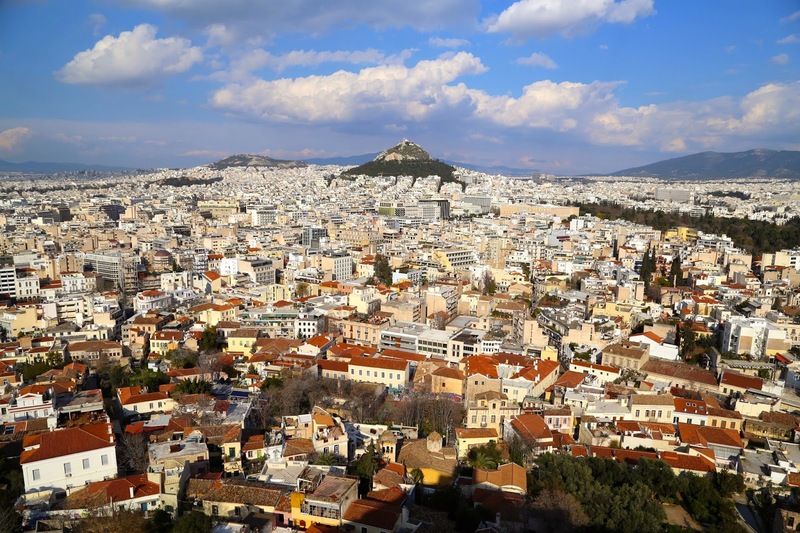 Greece is looking for new ways to do business, to expand its economy and, despite the difficulties of the past few years, crisis is almost an impetus for change and creativity; there are hundreds of new start ups. Supper clubs are a positive addition to any tourism based economy: during a typical tourist visit, they may visit a fine dining restaurant as a treat, a taverna on other nights and perhaps a supper club or home restaurant as a way of meeting locals, visiting their houses and experiencing local cuisine. 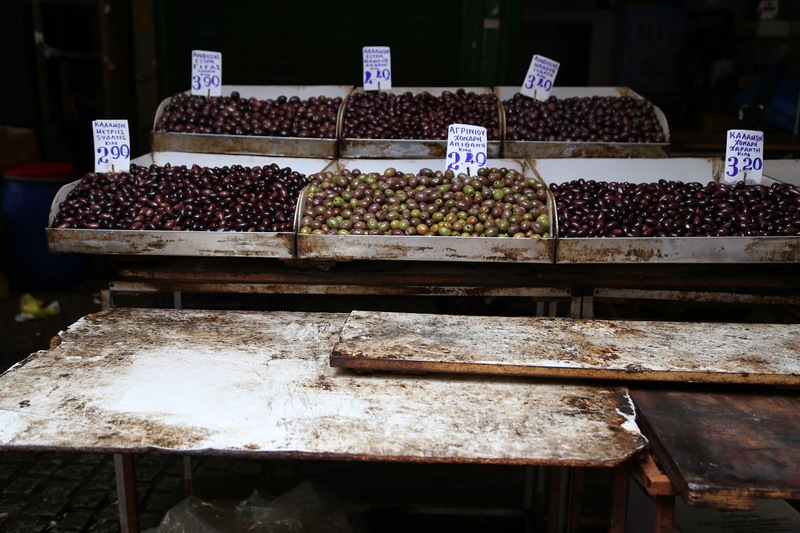 The Central Market, Varvakeios, is a must visit. You have the meat section, fish section and fruit and veg area. It is surrounded by small shops selling intriguing food. 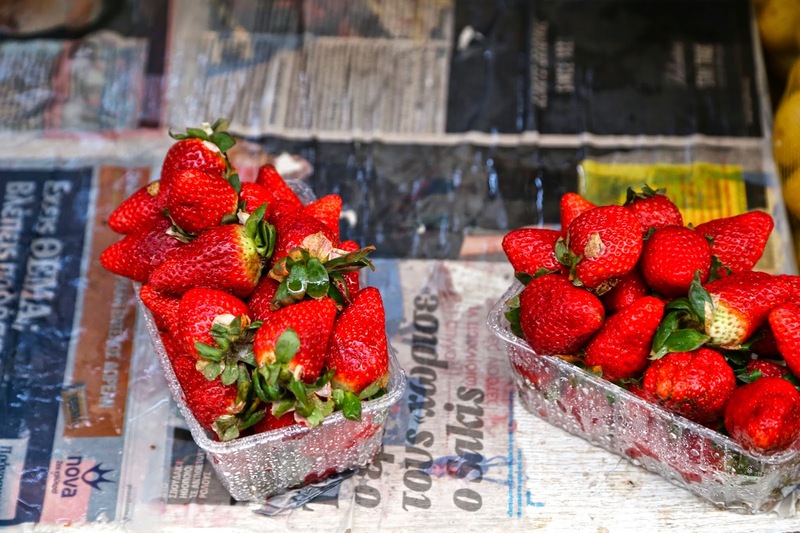 You can also eat at reasonably priced restaurants within and around the market. I took a photo at one bar in the market and suddenly everyone was pointing at this guy, saying: He’s a famous politician ! Just voted out! 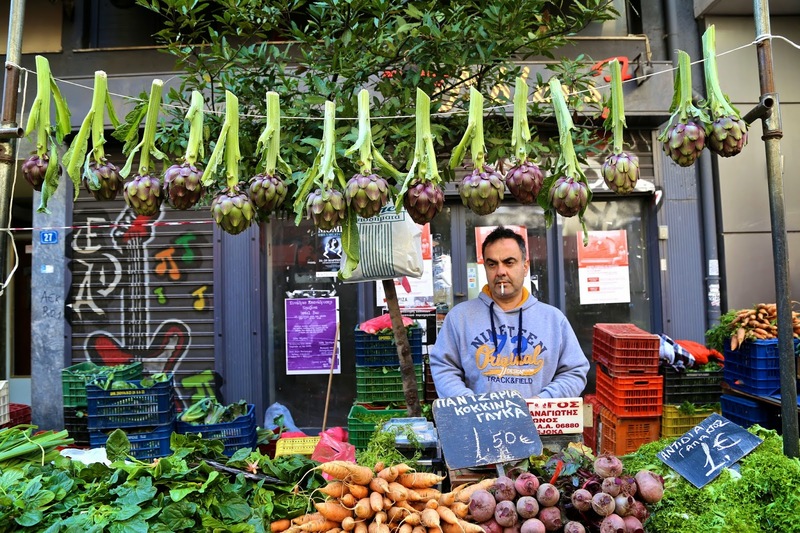 On Saturdays, there is the open air market, laiki agora, in Exarcheia. On Fridays it is in Kallithea. Both close at 2pm. Here is more info on markets. Farmers republic, which is a fair trade market where farmers can sell their goods, getting rid of the middle man. It is found at El. Venizelou 171 (extension of Kifisias Avenue), Nea Erythraia (Kastri). The museum of Greek gastronomy. This fascinating museum has at present an exhibition detailing the diet and food producing methods of monks. ‘Monastic diet, traditional practices – timeless values’. Monks only eat once a day, in silence, for a maximum of 20 minutes. On Mount Athos, only men are allowed to visit the monastery. In fact this gender separation is so strict that even the animals they keep and eat cannot be female. In the back is a restaurant serving typical monastery food. 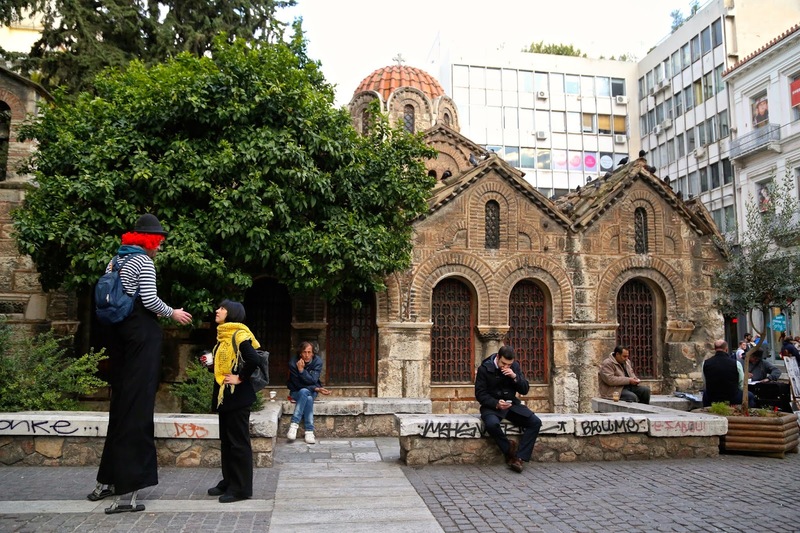 In the evening Monastiraki Square is a great place to see street performances, drumming and meet Athenian youth. 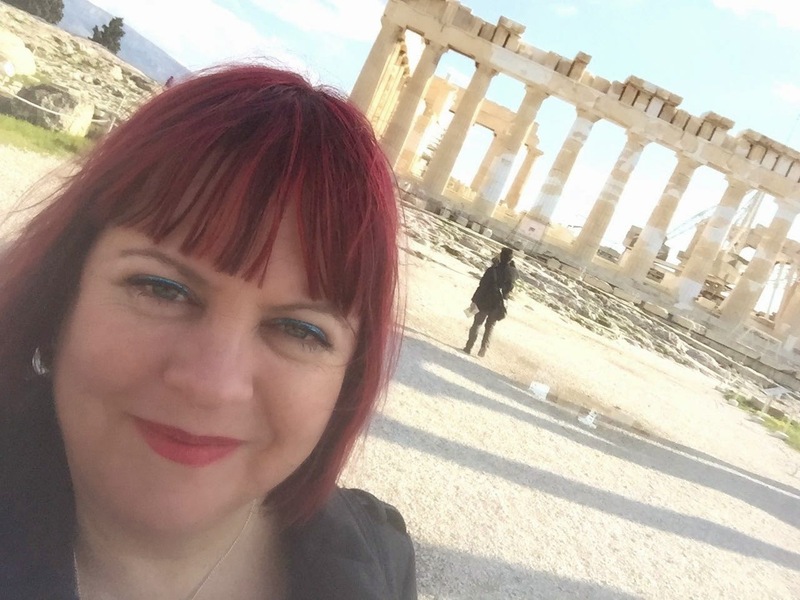 The author at the Acropolis in Athens. The food looks absolutely delicious, especially the stuffed courgette flowers, the thin pies and the little doughnuts. Making me hungry. What was your favourite food discovery? Bergamots were not new to me, I've used them before but it was a treat to buy them so cheap, fresh & plentiful. But the flavour that most intrigued me was mastic/mastiha,I love it. Your travel posts are so packed full of information gleaned from street level and real people. 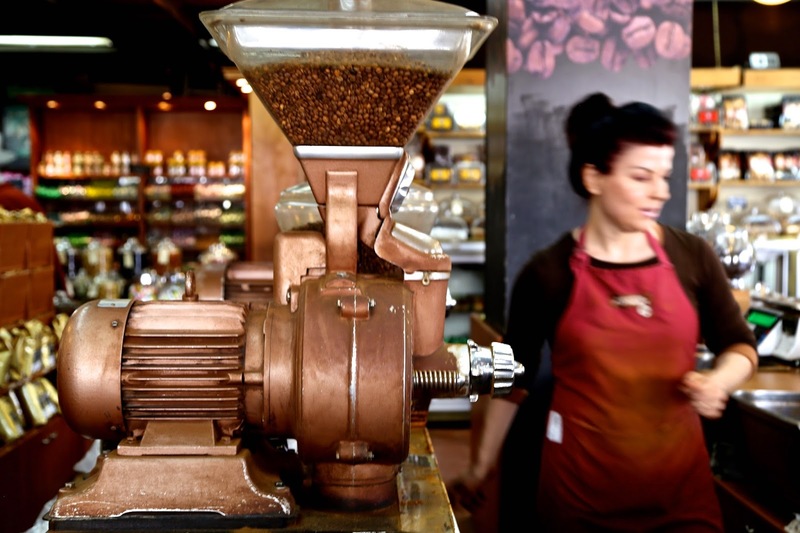 Gorgeous pics – love the lady with the coffee machine. Sumptuous read. Thanks Sally. Someone described my approach as 'immersive' and I think that's right. I use the opportunity of short press trips and pay my own way to stay longer to soak up what's going on. I pound the streets to get great photos. I talk to locals. This is what I love to do. Each post takes days to assemble so I'm pleased that some people can see that. Fascinating post! The resin in retsina was added to hold the wine together when it travelled; like smoked food people aquire a taste for the preservation method even when it is no longer necessary.